RSVP and Pay by October 28, 2018. No refunds after this date. Please arrive by 9:45 am. Guided tour with a docent from 10am until 12pm. We will be broken down into smaller groups for a more intimate tour. 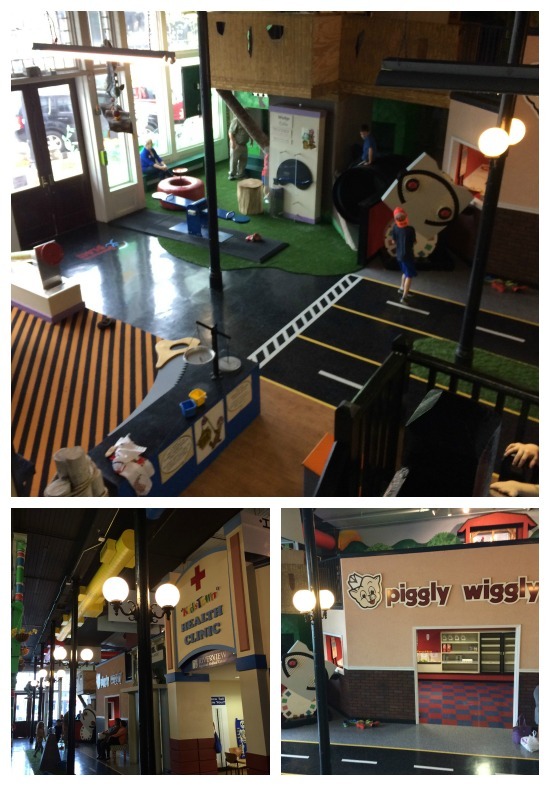 Imagination Place is designed primarily for children ages 2 through 10. Older children are more than welcome to attend and play, but please be courteous to the younger kids during play time. 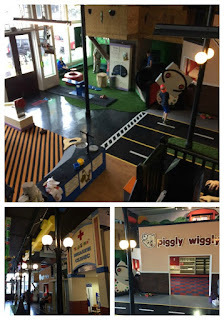 The kids will delight in exploring KidsTown USA, our permanent exhibit, where everything is child-sized. Children can explore the medical clinic, grocery store, construction pit and visit Grandma’s House. Upstairs, you can visit the train station and board the Imagination Express, visit the farm, and sail on a sunken pirate ship. Imagination Place will have a brand new exhibit Let It Snow as well. The tour includes an explanation and 30 minutes of play time in each the Imagination Place and Let It Snow exhibit. Then we will be taken on a guided tour through the art exhibit and the Festival of Trees. Please pack your own lunch if you wish to eat at the museum, and bring it in with you at the beginning of the tour. They will provide storage of our lunch and a room to eat it in – or you may go out to eat in town and then come back if you wish to stay after the field trip. Afterwards you may stay as long as you please until closing at 5pm. Parking: Turn off of 5th onto Broad Street and the parking lot is located behind the building. There is also parking available on Broad Street. Please do not block the view of children during activities, presentations, and tours. Please do not use your cell phone in activity locations or exhibit halls during group activities and presentations. Please set an example for the children by remaining attentive and respectful to educators and materials presented. Please reserve lunch seating for children first. Please assist children in attendance with remembering general rules. Please assist children in attendance with cleaning up after themselves and putting away any materials that have been used before you leave an area. To avoid loss and damage during the fieldtrip, art and other materials made by children will be delivered to the teaching staff just before buses are loaded. Running is not acceptable in any museum setting as it may endanger the safety of all guests, staff, and exhibits. Please do not throw toys or equipment or remove them from their exhibit areas. Please remember you are sharing the museum areas with other guests so please use quiet voices. Children should be accompanied by an adult at all times throughout the facility. Thank you for putting all items back where they belong when you are done playing. Thank you for not bringing food or drinks into exhibit halls, our permanent exhibit, Imagination Place, or other work areas; food and drink may be consumed in the lobby and in designated lunch areas. Thank you so much for choosing the Hardin Center/Imagination Place for your field trip.